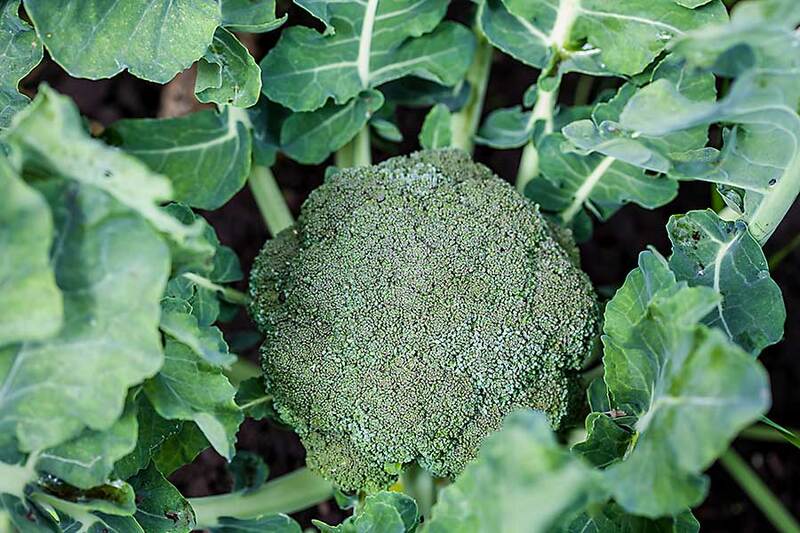 Broccoli belongs to the cultivator group of the Brassica Oleracea species or the cruciferous family which also includes cauliflower, brussels sprout, cabbage and kale. It is a nutrition powerhouse with many health benefits. It is low in calories and rich in essential minerals such as iron, magnesium, potassium and zinc, Vitamin A, C, E, K, Vitamin B1, B2, B3 and B6, fibre and protein. There are three types of broccoli. – Calabrese broccoli, commonly known as broccoli has a large green head and thick stalk. – Purple cauliflower has a head shaped like cauliflower and has tiny flower buds. – Sprouting broccoli has many thin stalks with a large number of heads. Broccoli has many health benefits. It is used for preventing cancer, particularly lung and colon cancer. The fibre present in broccoli prevents constipation and maintains a healthy digestive system and regulates inflammation. It also helps lower blood pressure and cholesterol level in the body. Broccoli also contains carotenoid compounds lutein and zeaxanthin that decreases eye-related disorders. 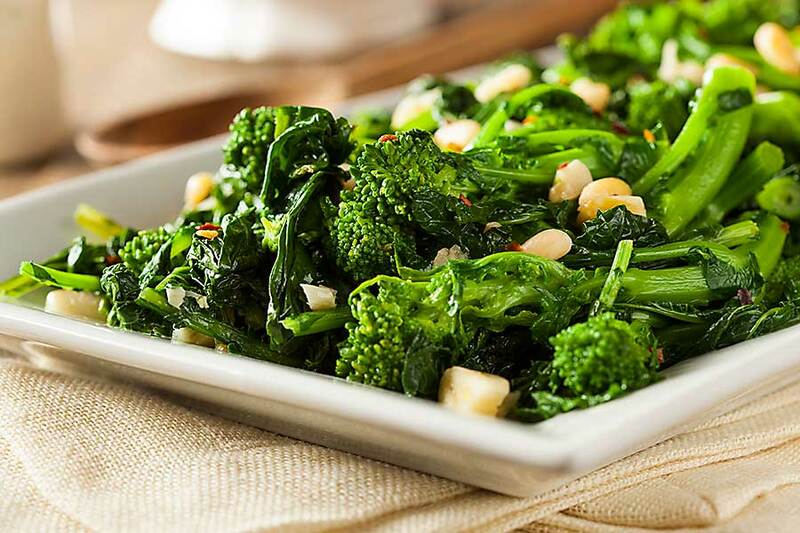 The Vitamin K present in broccoli improves calcium absorption and as a result, improves bone health. 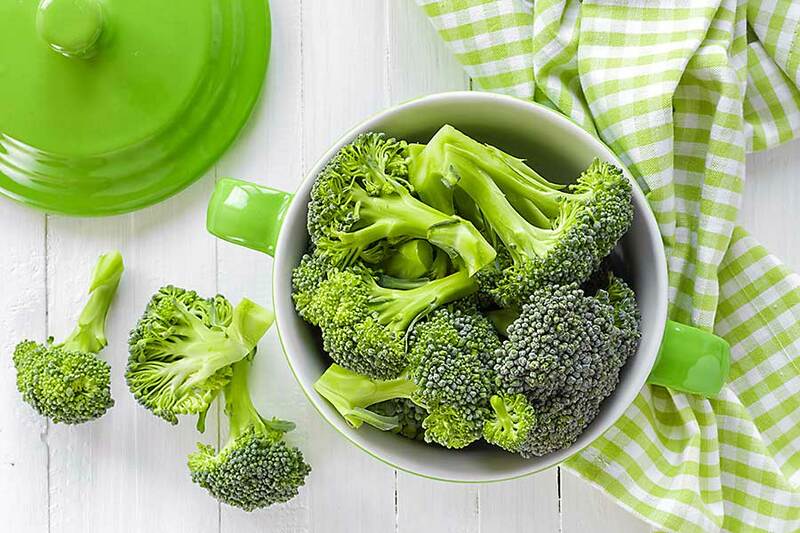 The antioxidants in broccoli help fight skin damage and reduce wrinkles. Vitamin C present in broccoli helps in the formation of collagen which is essential for healthy looking skin.